Møller Bil Motorsport Racing Simulator for all the fans of the team, and the VLN series at Nürburgring. Møller Bil Motorsport is a fully norwegian racingteam that participates in the german VLN series at Nürburgring. The teams former name is "Olrud Mobil1 Racing". There are currently no setups for Moller Bil Motorsport Racing Simulator. Add a Setup. Can anybody upload the templpate somewhere? Megaupload was shutted down, and can't download the template! THX! One of the best mods, only downside was the lack of livery so i decided to make my own. When the track is loading, appears "Error loading mesh file OVE_VA.GMT to memory" and loads only the temporary car. 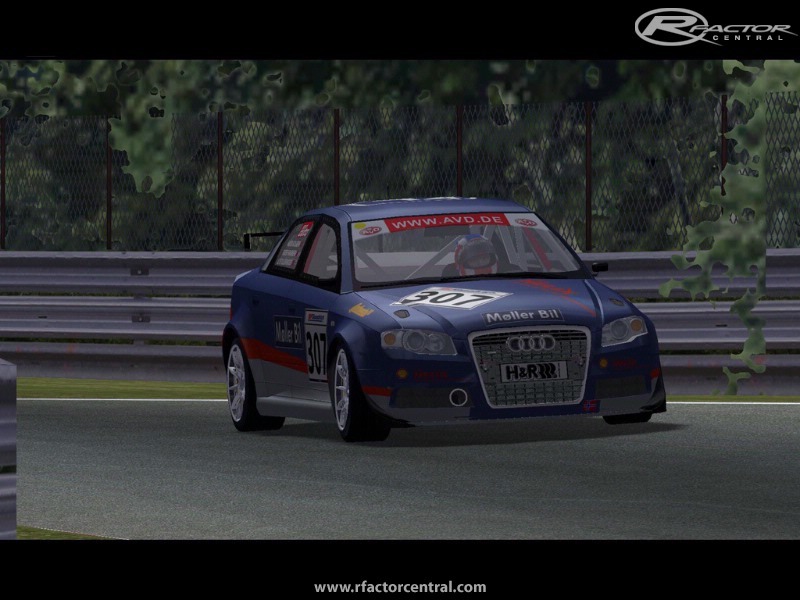 Then, I downloaded the file OVE_VA.gmt of the site http://arcbrasil.com/Downloads/Mod/Audi/ in the folder E:\Program Files\rFactor\GameData\Vehicles\MBM, but the car appears partially. i cant load the car, and it says "error loading mesh file OVE_VA.GMT to memory" everytime i want to use it. can you help me? masa este audi locoooooooooo, suban mas fotos no sean ortiva, aguante valetto!!!!!!!! i know nothing about, that my old model is chanched and released...no need to say any word about it to me. would the mod developer/owner please contact me. i'm seeking permission to use some parts of the Audi A4 car, thanks. Where was the abuse you moron ? Just tried the Volvo in the NAGT mod. Almost exactly the same as the Moller Bil Audi. They are both All Wheel Drive which explains the lack of burnouts, the understeer, and the high grip levels. Anyway, as I was saying. I love this mod. Amazing quality cars, and cannot wait until we see what upgrades are coming for them. Keep up the good work. The suspension is fantastic, just want the setup to be able to be changed between oversteer and understeer to get some more turn-in.